Thomas (& Runaway Dolly) jumped a super round finishing 15th at the Horse of the Year Show last weekend, in the 12.2 show jumping pony of the Year Championship. Thomas is already looking forward to trying to get there again, on pony Runaway Dolly, next year! 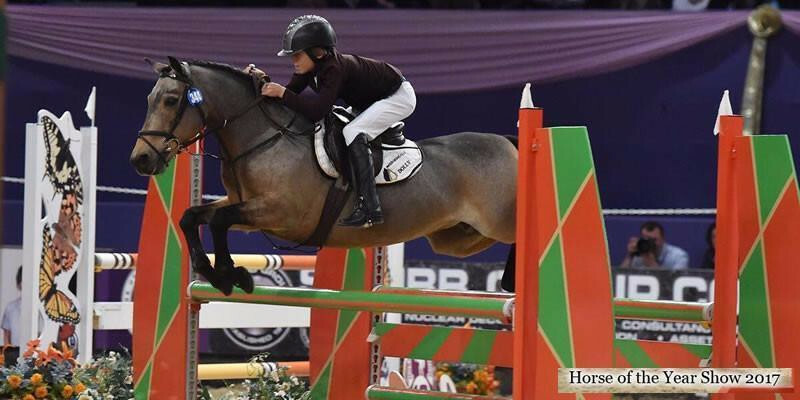 They also finished 15th in the 12.2 show jumping Gold League for the season – basically a points thing open to all ponies and riders across the country.